Red Hat Enterprise Linux (RHEL), Fedora, CentOS and Scientific Linux allows administrators to add and enable multiple repositories (repos) to install software packages that are not included in the default base and updates repositories. Over time, the software packages that are installed can grow to quite a big list, and thus it’s nearly impossible to remember the source repo of all install packaged, especially when a package is available from multiple repos. Here’s a few ways which you can use to find out the repo which installed the software package. You can also specify the name of the package to search for instead of repo name. The downsize of this method is that packages from other repos may also be listed if they have something that matches the string of repo been search. For example, command above returns packages from extras repo, which we installed the epel-release package, and from Software Collection repo, which has “epel” string in their release. In addition, this method also does not work if the repo that you want to search for does not have any distinctive or unique characteristics, or does not display itself in the listing. The foolproof way to get information about the repo which installed a given package is by using yumdb, which saves all information when the package was installed. 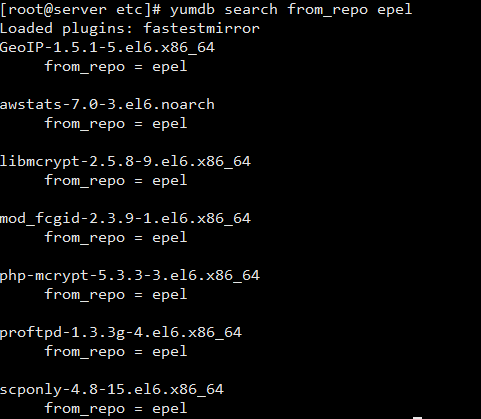 Similar to “yum list installed”, “find-repos-of-install” command lists all the installed packages with their source repo. You need to pipe to grep to get information on a particular repo or package of your interest. And similarly, it may return unneeded repo or package which contains the same keyword. 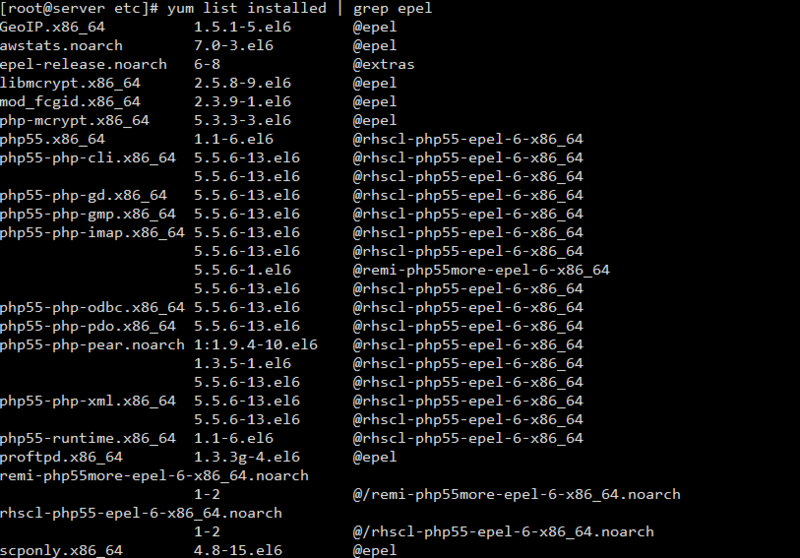 To use “find-repos-of-install”, you need to have yum-utils package installed. Repoquery lists all packages available from enabled repositories. So you may need to spend more time to find out what you want from a long list of output. And it may also return unneeded repo or package which contains the same keyword. To use “repoquery”, you need to have yum-utils package installed.